As interests in emerging technologies and innovations continue to grow in today’s world, research and development efforts have also accelerated. In an attempt to encourage these efforts, the University R&D Tax Credit Program provides states with an opportunity to qualify for an additional non-refundable income tax credit when conducting research through specific universities within that area. 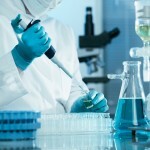 Not only does this give faculty and graduate students the incentive to take on new research projects, but also provides an opportunity for companies to contract with these universities to conduct R&D, giving them complex yet practical research problems while providing the financial support to study them. Recently, the state of Arizona has taken on the University R&D Tax Credit Program to maximize their research efforts in all capacities. The universities that are currently under the jurisdiction of the Arizona Board of Regents allowing them to receive the benefits of this program are Arizona State University, Northern Arizona University and the University of Arizona. One or more of the three universities listed above have access to this tax credit provided their research efforts qualify for the program. Currently, the credit is equal to 10% of any excess “basic research payments” made by a taxpayer in a taxable year in conjunction with the taxpayer’s “qualified organization base period amount” for the same taxable year. To put the adoption of the University R&D Tax Credit Program into perspective, the current general R&D tax credit in a taxable year is equivalent to 24% of the first $2.5 million of qualified research expenses, with a threshold of 15% on expenses greater than that amount. Under the current law, the University R&D tax credit combined with the general Arizona R&D tax credit has a potential to increase the total R&D tax credit for qualifying research expenses by a whopping 19%. 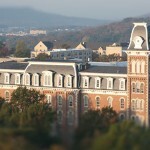 There is a cap, however, on the program’s certifications for one calendar year at $10 million. Once the certification cap is met, no further research payments will be certified by the ACA (Arizona Commerce Authority). Like many other limited enrollment programs, the ACA will approve applications on a first come, first serve basis. Overall, the University R&D Tax Credit Program provides states with a greater incentive to engage in research that allows for new discoveries and advancements without feeling restricted by research expenses. Arizona is actively taking advantage of this program and will reap the benefits with more money in their pockets as well as an increase in research opportunities. Talk with a Swanson Reed representative today if you would like to know more about how the University R&D Tax Credit works and if your university eligible.